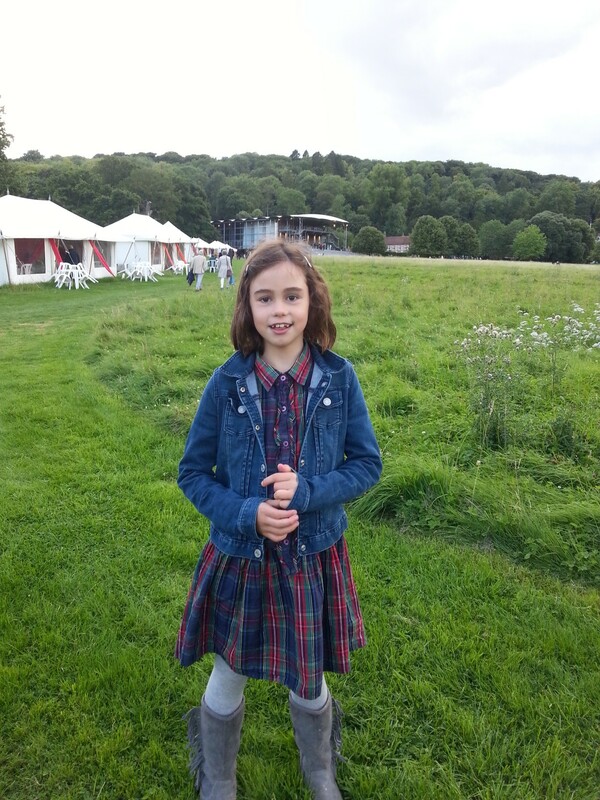 It’s not every day that a year 5 primary school pupil has a chance to perform in the world premiere of a contemporary people’s opera – but that’s exactly what my ten year old daughter Emily did this weekend. 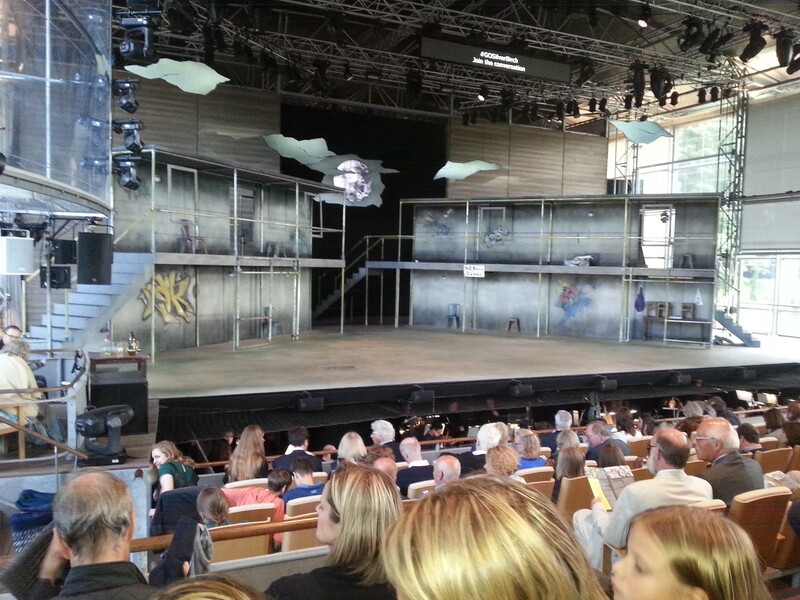 On Sunday night I had the joy of seeing her take part in Garsington Opera’s Silver Birch, (social media #GOSilverBirch, @GarsingtonOpera ), at its base on the stunning Getty owned Wormsley Estate. Photography of the performance was not allowed, but I snapped the stage just before the start of the final performance. 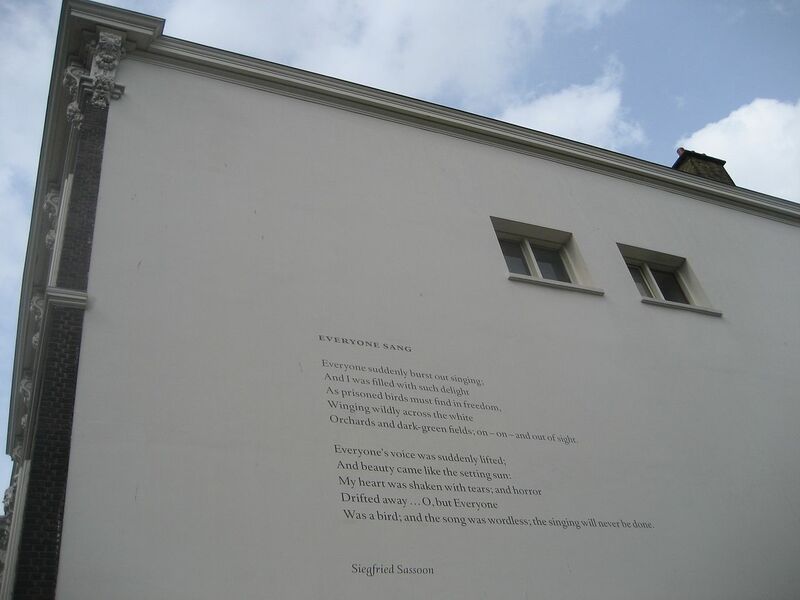 The Silver Birch opera was composed by Roxanna Panufnik with a poignant libretto by Jessica Duchen, who expertly integrated excerpts of poetry into its modern text that were written by World War 1 Poet and hero, Siegfried Sassoon (a frequent guest at Garsington Manor in Oxfordshire). What was also moving was the fact that Siegfried Sassoon’s great-nephew was singing in the opera as part of the community chorus. Through interaction with Stephen Bucknill Jessica was able to also meet other members of Siegfried Sassoon’s family to share living memories of their relative and Great War poet. Everything about this project was special. Not least because it was based on certain experiences in 2003 of real life Iraq War veteran, Jay Wheeler (who was in the audience Sunday night), as well as the wartime poetry of Siegfried Sassoon and the participation of so many enthusiastic young people. Silver Birch required the training and co-ordination around 180 people on stage, which in addition to the main characters, comprised of a Primary Company auditioned and selected from 7 local primary schools, a Youth Company of teenagers aged 11 to 18, a small group of dancers, the Foley Company and the Adult and Military Community Company. Many of the child, teenage and adult participants had never sung or performed in a professional production before Silver Birch. 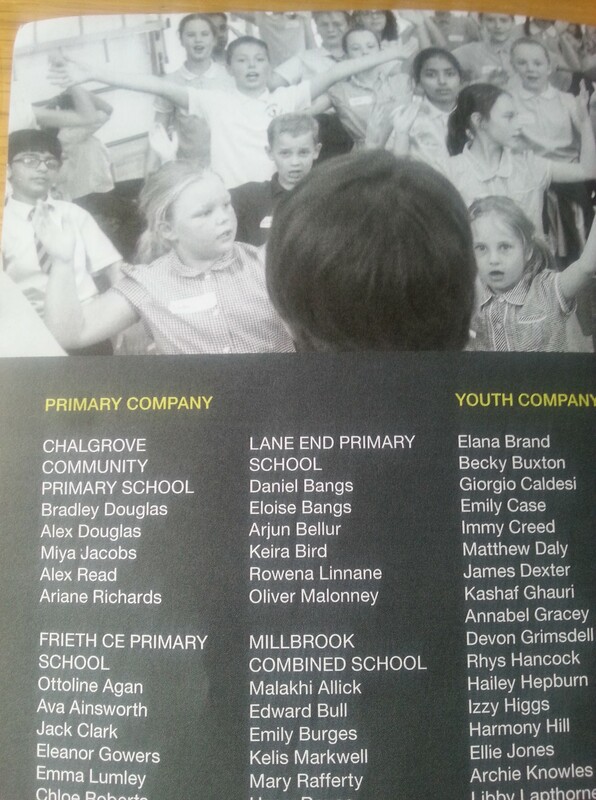 It’s wonderful that all their names were featured in the programme, and Emily is happy that she is also in the main picture (top far left), on the page where her name appears. The youngest singer in the opera was the sweet and spirited Maia Greaves, only 8 years old, who co-played the part of Chloe, Jack’s younger sister. The stand out performances for me were Sam Furness as Jack, after Mad Jack (nickname of Sassoon from WW1), Bradley Travis who played the ever present ghost of Siegfried Sassoon and Victoria Simmonds, Jack’s mother. I thought the entire cast and crew were just brilliant! 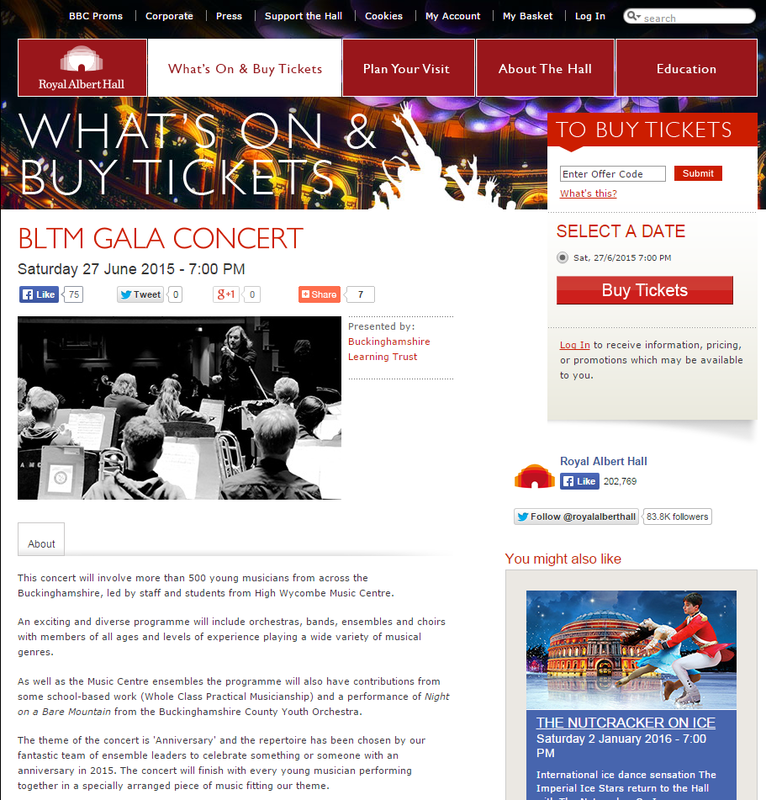 I hope Silver Birch is commissioned into mainstream opera repertoire. Anna and Simon plant a silver birch to grow up alongside their children. But later, when Jack and Davey join the army to prove their strength, devastating experiences await the entire family. Spring restores a weather-beaten tree, but can their damaged bonds of love sustain them all through the impact of war? Interview with Roxanna Panufnik about Silver Birch on BBC Radio 3. Mine the proven path of time’s foretelling. Yours accordance with some mysteried whole. I am but your passion-haunted dwelling. Stranger, loved of body’s humbled heart. From that peace whereof he claims you part. Till withdrawn to share some timeless quest. I am but the brain that dreamed and died. Even the title of the opera was inspired by a comment from a young boy at Lane End Primary School, who, when asked during a workshop what he would miss most if he were at war, replied that it would be the silver birch his parents’ planted and watched grow up. 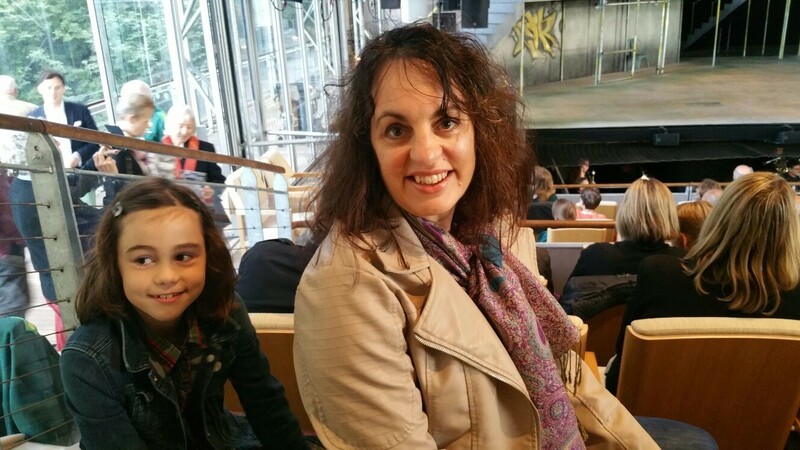 Under the auspices of Garsington Opera’s Learning and Participation Programme many individuals of all ages came together for a musical and cultural experience that has changed their lives. My daughter is no exception. Ruby excited to see her sister perform in Silver Birch. As a musician and also a passionate speaker about the power of music education, I was keen to get Emily interested in music at a young age. She had piano lessons briefly but didn’t really take to it. She preferred the violin and now the guitar, but it seems her true passion is for singing, and she has a wonderful natural instrument. The only problem was she didn’t believe in it herself – until now. Performing in Silver Birch seems to have been the catalyst for her confidence to blossom as well as unlocking her creative potential. I have noticed a massive change in her. I believe her participation in Silver Birch has positively impacted her cognitive abilities, capacity for learning, her emotional and mental wellbeing as well as her social skills and overall self-esteem. Emily can be quite shy with those she doesn’t know, and being outside her comfort zone has pushed her to higher levels of achievement than she would otherwise have thought possible. Before the start of the opera Karen Gillingham, the Creative Director of Learning & Participation for Garsington Opera, did a wonderful job of introducing us to key members of the cast and stage crew, explaining to us (with some fun audience participation), the creative process from inception through rehearsals to the world premiere performance of this compelling, multi-layered opera. Silver Birch was a truly collaborative effort by many gifted individuals, whose collective efforts produced an emotional and meaningful experience. It was obvious that creativity, talent, love, respect and dignity had been poured into it right from the start, and was woven into every element of the work and its live performance. 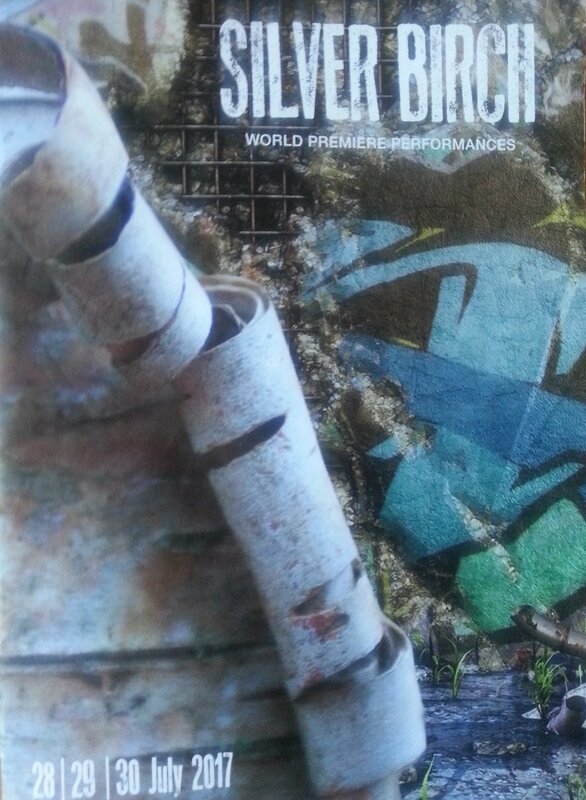 Silver Birch is a people’s opera on every front. Douglas Boyd, the conductor and Artistic Director of Garsington Opera, eloquently elucidated in his brief address to the audience how the Silver Birch production had affected not just him, but the whole Garsington company as well as the community participants on a profound level. 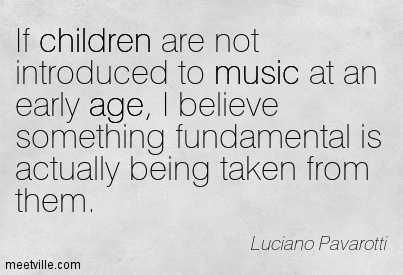 His words were completely in alignment with my own ethos about the power of music to transform lives. 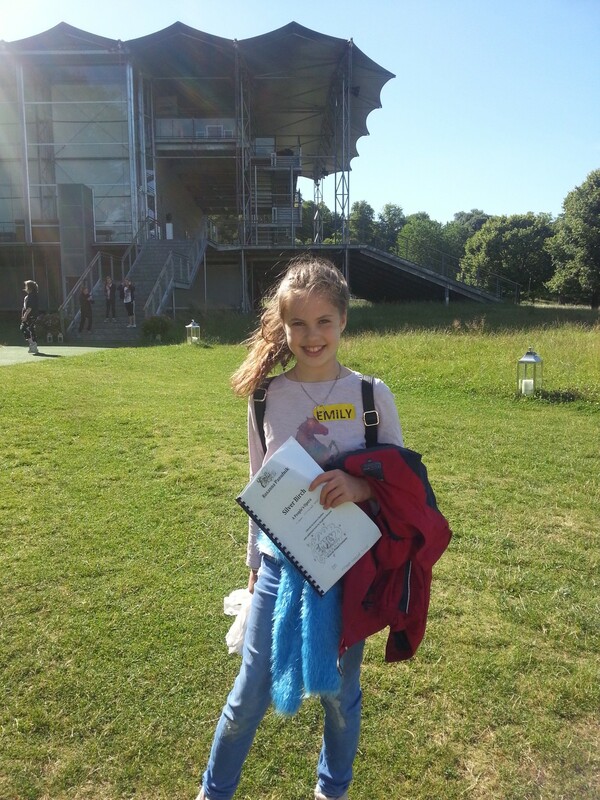 Emily auditioned at school in May and rehearsals begin in earnest at the end of June. As she chatted in her animated post performance high, we talked about all the different emotions that she experienced. The times of boredom, how she became physically tired, (the rehearsal schedule was full-on), with no weekend break in the two week run-up to the opening night. This last week I have been a full-time taxi service. But I don’t mind supporting her in such a worthwhile endeavour! Emily now understands what it means to rehearse when she doesn’t feel like it (a few culinary bribes helped!) along with her lessons in work ethic and commitment to a project. She certainly felt the euphoria that inevitably accompanies hard work: rehearsing alongside her best friend – culminating in the actual performances themselves, where all the separate companies and the orchestra came together on-stage and were duly rewarded by an appreciative audience. All the bowing and clapping at the end made a big impression on her! She was standing at the front of the stage singing her heart out in quite a few scenes, and I was able to see her wherever she was on the set. My heart swelled with joy! Whenever she bursts into song, either in the car or at home, I have noticed how much more powerful and resonant her voice is now. All the singers gave stunning performances. Certain scenes made the hairs on my arms stand on end. I was so proud of Emily for all she accomplished on her musical journey and and my thanks and gratitude go to Garsington Opera as well as headteacher Miss Mansfield and her colleague Mr Dodd of Millbrook Combined School, without whose support it would not have been possible for Emily to take part in this amazing project. BBC Arts filmed various aspects of the rehearsals and live performances in conjunction with Pinewood Studios at the Wormsley Estate, which will be broadcast online later this year. I will provide the link in this post when it becomes available. I can see her love of singing and performance has been ignited, so I hope Silver Birch will be a springboard for future aspirations. Even if it isn’t, it has been worth it for Emily for the experience alone, and I’m sure other proud parents must feel the same way. Expectant sister and mother in the audience! Silver Birch certainly seemed to inspire and elevate not only the audience, but all who took part. As a child, opening up the music cupboard at school should be a magical moment, but for many primary school children it’s a case of no instruments and no budget; a stark reality that threatens our social and cultural heritage for years to come. 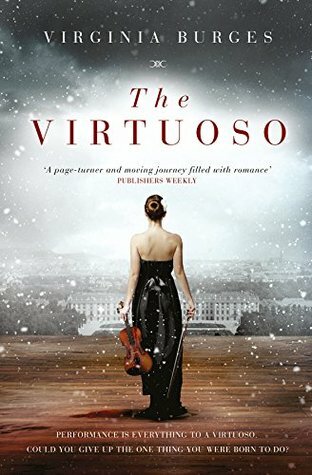 I became an amateur violinist thanks to the good fortune of being given free (yes, you read that correctly), free violin lessons at the age of eleven. 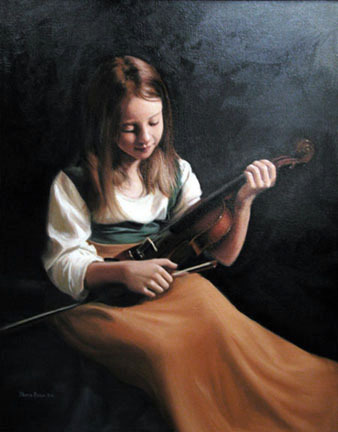 I was only interested in playing the violin because my best friend at the time was learning it. After about three lessons she dropped out, but I stuck at it. When I left primary school, I continued to have private lessons (thanks to my parents) with Lillian Ing, (a virtuoso in her heyday) for the next five years until she sadly passed away. In those hours of mostly forced practice, of scraping away at scales and etudes, studying for grades, and being told rather facetiously, “Can’t you play over the hills and far away?” I reached a point of competency. I took pride in mastering each new piece. I didn’t understand back then quite how much I would come to love and appreciate my moments on the violin; not just in terms of taking me outside of my ordinary life, but in the satisfaction of applying myself to an instrument that constantly stretches my mind and physical ability. When I started college and later after I moved to London, I joined two amateur orchestras: the Aylesbury Orchestral Society and the Wandsworth Symphony Orchestra respectively. This was a wonderful experience for my development as a musician as well as a fun social interaction. Music runs in our family. My mother was a pianist and sang as a soprano in a choir, and she told me that she played Beethoven’s Moonlight sonata and Chopin nocturnes when she was pregnant with me. I’m sure that’s why the Moonlight sonata in particular always evokes such peace in me, as well as my adoration of Beethoven’s and Chopin’s music full stop. My daughters’ paternal great grandfather was a pianist, composer and conductor. 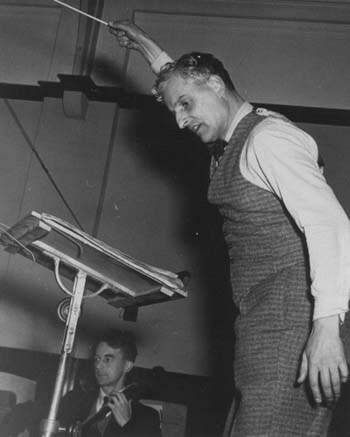 He was conductor of the Ipswich Orchestral Society from 1948 until 1953, and his successor was none other than Colin Davis, who wasn’t yet a Sir, and who later became principle conductor of the London Symphony Orchestra from 1995 until 2006, when he was then made president. After leaving Ipswich Peter went on tour for a few years to countries like Malaysia, Singapore, Australia, Africa, New Zealand and Jamaica, (where he lived with his family from 1961-63, and founded the Jamaican School of Music). His life was so interesting and inspirational it’s worthy of a separate post. 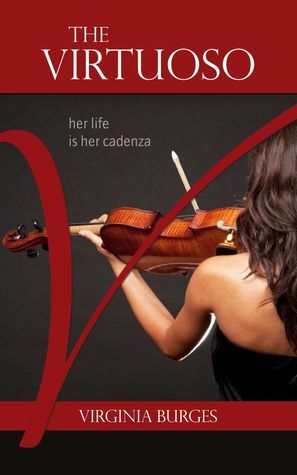 I played my violin regularly when I was pregnant with three of my children. I don’t know if it’s had an effect, but they all seem to like classical music. Emily briefly had piano lessons but she appeared to lose interest (and I ran out of funds), while more recently Ruby has been observing me practising and asked if she can learn the violin. I’m delighted by this, but also slightly concerned about the cost of buying an instrument and tuition. I considered teaching her myself, but that would be doing her a disservice as I’ve almost certainly fallen into bad habits in the many years since I last had lessons. It’s a national disgrace that my children’s generation do not have the same musical opportunities that I did, the result being, according to the Making Music report published by the Associated Board of the Royal Schools of Music, that there has been a 35 percent decrease over the last 15 years in the number of children aged 5-14 who know how to play a musical instrument. 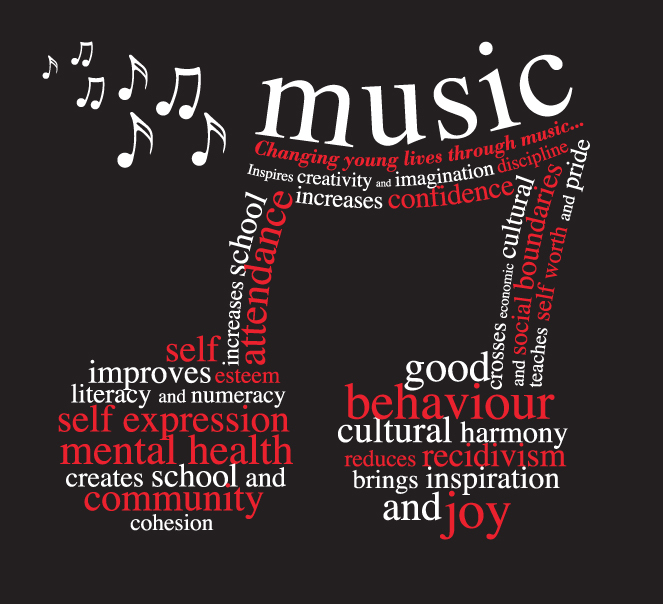 Music is not a priority in primary school education, despite conclusive research that indicates its positive impact on self-esteem, focus, literacy, numeracy and overall wellbeing. Even primary schools with good or outstanding OFSTED reports may not have funding for any type of musical education. Clearly the government pledge to tackle the ‘musical divide’ is showing no evidence of implementation at grassroots level. The starting point should be for all primary schools to have a decent selection of musical instruments for children to try, and access to basic lessons where they can discover if they have an aptitude and love of music making. 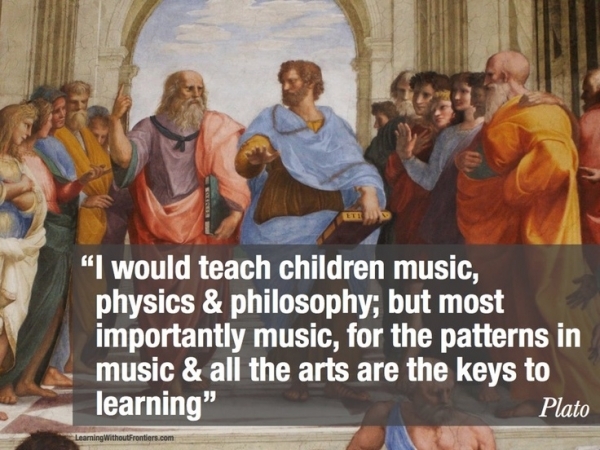 At present, the study of music in a child’s formative years is an elitist undertaking. Parents want the best for their children, but those living in poverty are being discriminated against. Who knows what talent lies dormant in deprived areas of our inner cities? Perhaps music will prove to be the medium that keeps some youngsters out of gangs? We cannot afford to neglect this most beautiful, skilled and uplifting pursuit, which can improve the lives of the students as well as the numerous souls their vocation will affect; whether it be in composing, performing or teaching. 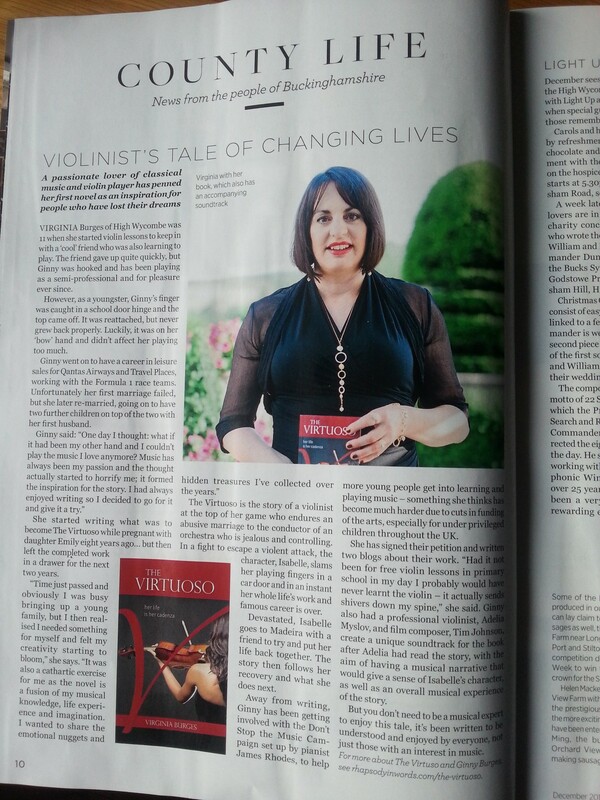 I admire musicians like violinist Nicola Benedetti who has spoken out about the state of music teaching in Britain, and also pianist James Rhodes for his Don’t Stop The Music campaign. You can see how he got on with St. Teresa’s Primary School in the Channel 4 two-part documentary. Why should the arts be the first thing to suffer in a climate of austerity? Why is it considered dispensable? Nourishment for the soul is what sustains us all. Closer to home it looks like my daughters will be getting a half size guitar and three-quarter size violin for Christmas!